John Major Eason is as an Assistant Professor in the Department of Sociology at Texas A&M University. 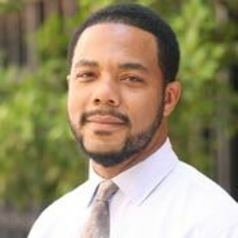 In his prior position at the School Criminology and Criminal Justice at Arizona State University he recieved the 2012 Rural Sociological Society Young Scholar Award. He also served as the Provost’s Postdoctoral Associate in the Department of Sociology at Duke University after receiving his Ph.D. from the Department of Sociology at the University of Chicago. Professor Eason, a native of Evanston, Illinois received a B.A. in Urban and Regional Planning from the University of Illinois Urbana-Champaign in 1995 and a M.P.P. from the Irving B. Harris School of Public Policy at the University of Chicago in 2002. Before entering graduate school, he worked as a church-based community organizer focusing on housing and criminal justice issues. He also served as a political organizer most notably for then Illinois State Senator Barack Obama. Professor Eason's research interests link race, punishment, and spatial inequality to community processes and political economy by challenging existing and developing new theoretical/conceptual models of racialized social systems, punishment, and rural/urban community structure/processes in several ways. He establisihes a new conceptual model of neighborhood disadvantage across the rural-urban continuum by tracing the emergence of the rural ghetto. Paramount to the research agenda is the book manuscript in press at the University of Chicago Press entitled Big House on the Prairie: Rise of the Rural Ghetto and Prison Proliferation. Theories established in the book are expanded across several projects. First, through the Prison Proliferation Project he will map the causes and consequences of the prison boom using novel data. Second, the Project on Arkansas Reentry, Imprisonment, and Health also uses novel data in exploring how rural context both shapes and is shaped by imprisonment, prisoner reentry, access to health care, and health disparities like HIV/AIDS. Third, he recently began a collaborative project with the National Immigrant Justice Center to investigate health outcomes of immigrant detention centers. Although originally trained as an urban ethnographer, he uses multi-level, multi-method approach in empirical investigations including interviews, photography, archival materials, and GIS mapping.